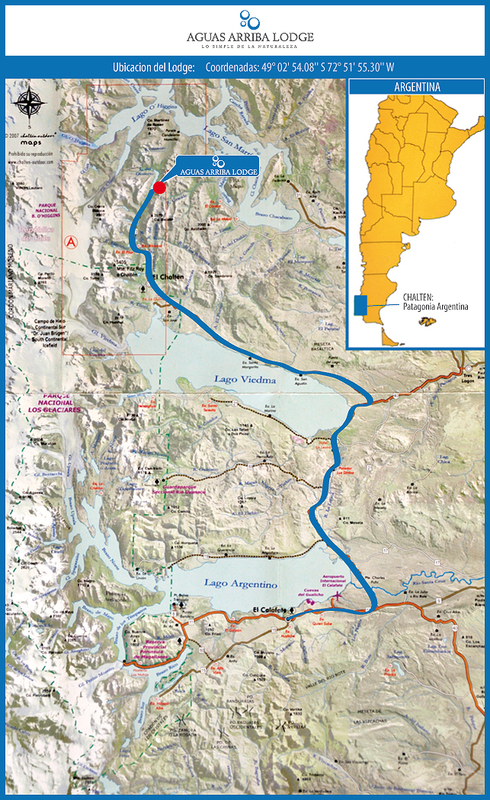 The Estancia is located by the Lago del Desierto East shore (Chalten- Argentinean Patagonia). The Lodge lies on a bay sheltered from the northwest winds. With in calm waters you can spot trouts through the lodge windows. To access the Lodge there is a 15 minutes boat ride from the south point of the lake along the east shore, viewing glaciers, small water falls and Condor's nest. There is also the option of a 3 hours hike through a trail that connects the south and the north point of the lake. The Estancia is inside a natural reserve right next to the Glaciers National Park. Taking care of the environment is our priority and responsibility.